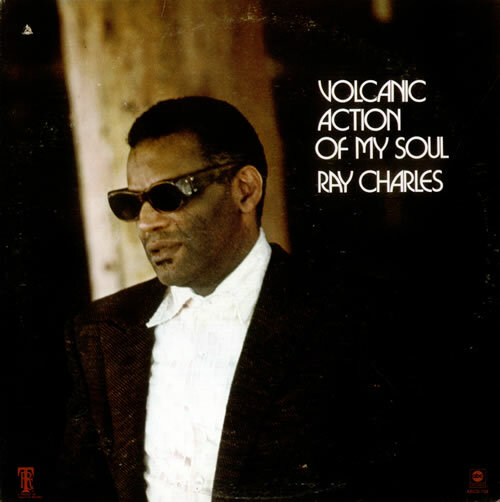 RAY CHARLES Volcanic Action Of My Soul (1971 US 10-track LP. The pasted picture sleeve is excellent with light edge wear and a deletion drill-hole top left. The vinyl looks barely played ABCS726).